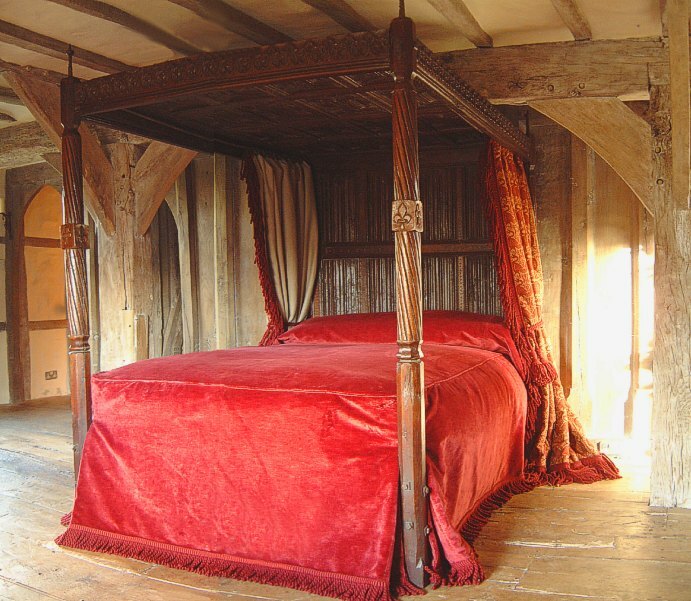 LATE 15TH CENTURY STYLE 4-POSTER BED, built entirely from ancient re-claimed oak. This example, of absolutely stunning colour, is a true 4-poster, the headboard being set in from the rear posts, which have hand-cut slow spiral twists (all cut in the same direction – a common feature in genuine old furniture). Very few beds of this period exist in their original form and indeed almost all 4-poster and tester beds have been altered in some way, usually to their detriment, or have been ‘made up’ from fragments of other furniture.